Set in a small town in the sweeping Rhone-Alps during the Second World War, Sebastian is a young boy who’s told to beware of a local “beast” that’s been killing the family sheep. Roaming alone in the mountains he encounters a grey shaggy dog, which when cleaned up is revealed to be a beautiful white Pyrenean Mountain dog who he names Belle. 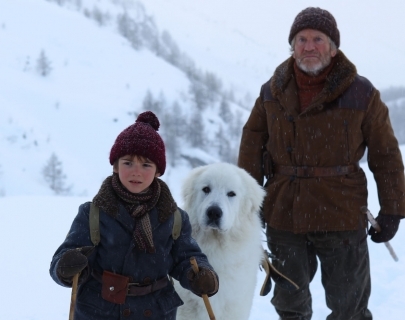 Stunningly shot by director Nicolas Vanier, whose background is in wildlife documentaries, Belle & Sebastian is a rich, classic tale of a touching friendship between a boy and his dog.